This activity is designed to be accessible to Key Stage 2 and 3 students. At a certain point in the 2014/15 Premier League season, Arsenal and Manchester United have each played fifteen games. 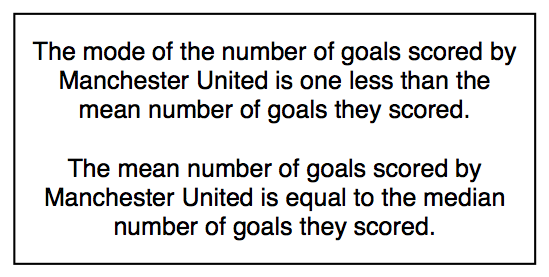 There are six different collections of data, three show the results for Arsenal and three show Manchester United's goals. 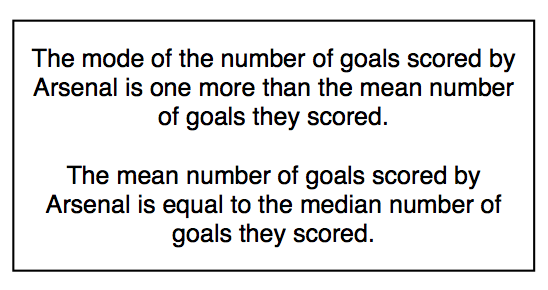 Can you match the data to the teams?